Your landing page might have a slick, professional design, stunning graphics, and a truly remarkable offer, but if your written content doesn’t work, your conversion rate won’t impress anyone. So you work on that. You use the best headline formulas. The catchiest bullet points. Strong calls to action designed to convert. You follow all the best copywriting tips you’ve found. But that’s not enough—if you’re not focused on the right ideas, people don’t care how cleverly you write things. Yet, you’ll find 101 blog posts about landing page design for every 1 post attempting to help you nail down the underlying message of the page. Why should people take action in the first place? 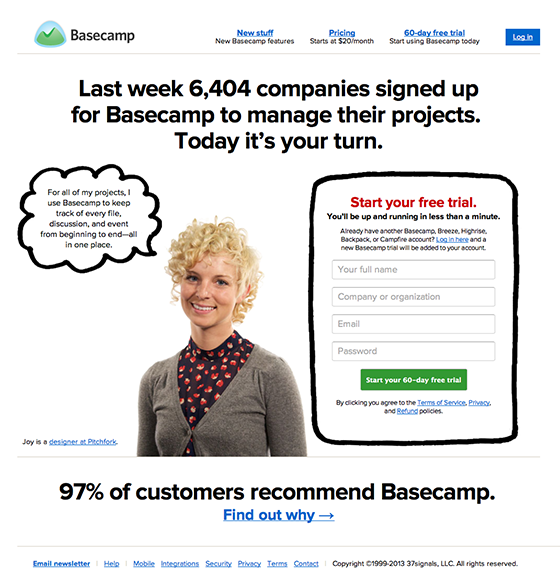 Why should people take the action you’re asking for on your landing page? More specifically, what are the best reasons they have? If you don’t know what those reasons are, you’re basing your landing pages (and all marketing) on guesswork. And often your gut feeling is based on what you find interesting about your offer. You know more about the topic than the people you’re targeting with the offer (or at least you should), so the reasons you’d be interested can easily be something else than what motivates your target customers. A strong value proposition is a collection of the best, believable reasons your target customers have for taking the action you’re asking for. When you know what your value proposition is, you can tell visitors the things they need to hear to convert. You don’t have to guess what to focus on. Sure, you can still improve your results with testing, but you’ll start off with much better results. So, what makes something a ‘good and believable’ reason to take action? How should you best communicate your offer? If you try to persuade people with reasons all your competitors use as well, no matter how good the reasons are, they’re hardly worth anything. People choose the option that makes all the usual promises that everyone makes and offers something more. 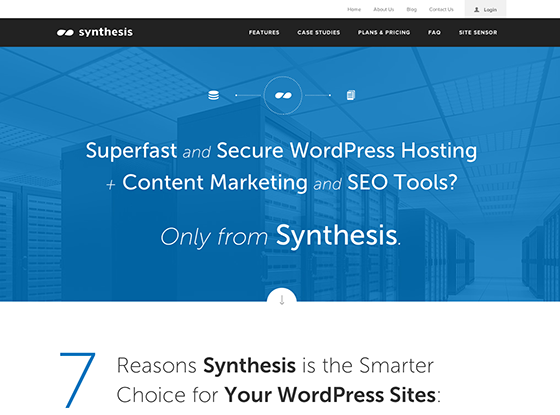 As far as web hosting companies go, one of the very few that offers something extra is Synthesis. They have free SEO and content marketing tools for their customers along with the normal things, and that’s what their marketing is about. And though they’re a bright spot as far as unique promises go, even they could improve the messaging significantly; they give very few details of what SEO and content marketing tools their customers get. Lack of details doesn’t make people think you’re lying about what you give them. But it does make people doubt the value of what you’re offering. In Synthesis’ case, the problem is amplified because “SEO and content marketing tools” are usually close to worthless. So, when there are not enough details of what they are in this case, people have little reason to believe the tools are useful. How can you make your claims more believable? The greatest reason to do something loses all of its persuasiveness if people don’t believe it’s true. For example, Basecamp bases its appeal on popularity and the idea “if so many people are already using it and they’re happy with it, it’s probably good.” But they don’t just say, “A lot of people use our service.” They’re very specific about it. They tell how many people signed up for the service last week. They show a prominent testimonial. And they tell the percentage of customers who recommend the service. They give you reasons to believe that the popularity is a good reason to trust them. Just boasting on popularity isn’t enough. Many huge companies are abusing their customers, so why should people trust you just because you’re popular or well known? For example, PayPal bases much of its marketing that’s aimed for sellers on the number of users they have. But when there are reports of random account freezes and they systematically steal from their customers (sellers), many people would rather go to one of their competitors. If instead PayPal focused more on how many people ‘prefer to buy with PayPal,’ they’d give a much better reason for processing payments through them. 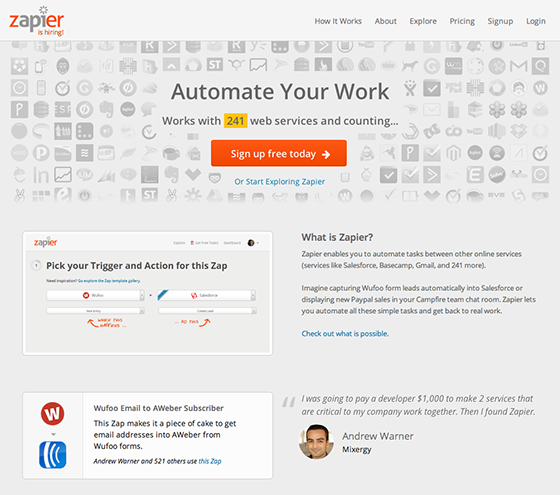 Another simple and great example is Zapier. Those are all valuable things. But they’re hard to truly believe. When Zapier shows the impressive number of services they handle, you believe them. And you expect to find the services you use in the list. Without the specifics that make your claims truly believable, they have little persuasive power. Basecamp tells you how almost all of their customers recommend them. Zapier tells you how many services they integrate to. What can you say to make your claims more meaningful? What are the best, believable reasons your target customers have for taking the action you’re asking them to take? Those reasons are all that your landing pages should focus on; almost everything else is clutter that waters down the message and lowers your conversion rates. Your value proposition is the collection of the best reasons people have for converting. When you know what it is, you can confidently focus on just the few key ideas that really make the difference to your target customers. The exact word-choices and page designs don’t have nearly the impact the underlying message has on your conversion rates. For example, changing the headline of a page can have a huge impact on your conversion rate. But it only happens if you change the underlying message. 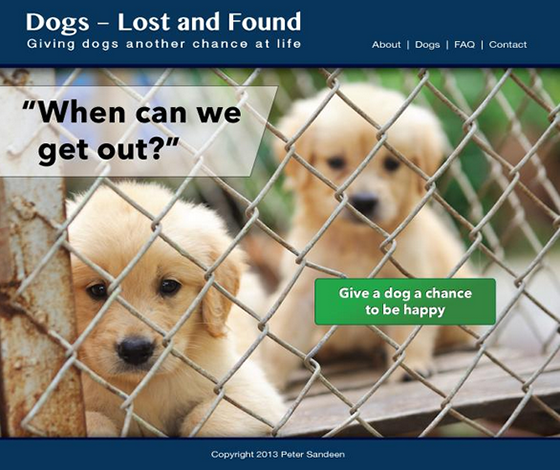 Here’s an example of a headline test on a (fictional) dog shelter’s landing page. These headlines have the same message. They both mean, “it’s unfair that some dogs are in a cage rather than living a happy life.” It’s very unlikely that you’d see any difference in conversion rates with this test. If instead you’d test the following page against the control, you’d most likely see a difference. The underlying message is different. The headline no longer tries to talk about how unfair it is that people throw dogs on the streets, but instead it’s pointing out the opportunity for getting a new best friend and family member. You’d almost certainly see a difference in conversion rates with this test. As long as you’re not focused on the right messages, your conversion rates will stay low. And just blindly testing different messages is extremely slow. So, get clear about your value proposition. Ask yourself: what are the best reasons people have for converting? You can focus your marketing on the most persuasive messages instead of filling your landing pages (and other marketing materials) with clutter that doesn’t get people to take action. 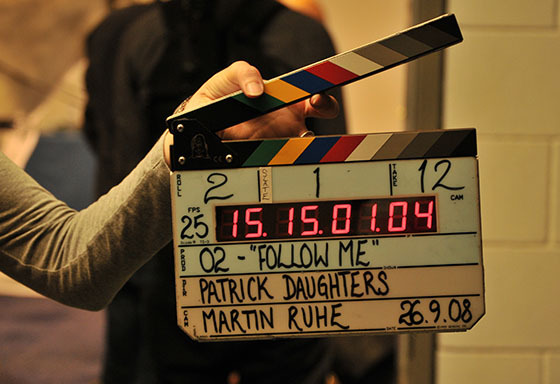 Do you have any question or experiences you want to share? The comments are open below. Right now Peter Sandeen is dodging icebergs while sailing with his wife and dogs on the Finnish coast. But you can download the 5-step system to find your core value proposition quickly, so you’ll know what people need to hear to notice you, join your list and buy from you.